Neil Murray, who lives near Ellon, in Aberdeenshire, is on his third TVR – a very special TVR Sagaris. 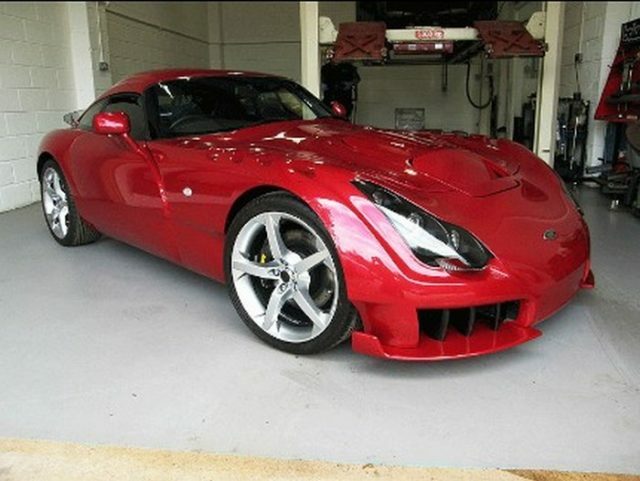 He owns a very special, one-of-a-kind TVR, it’s a “10” plate TVR Sagaris. His 19-year-old son, David, who has gradually gained an encyclopaedic knowledge of the marque, and his dad’s car. “He’s moved down to Glasgow now for university but, whenever he’s home, he’s the one that details the car and looks after it. He’s far more fanatical about cars than I am. I’d be happy to watch cars going past on the track, but he wants to know every detail about them. He drove the last car when we took it to Zolder, and he absolutely loved it.